Can you believe that Christmas is just over a month away? It's time to get shopping and wrapping gifts to hide away until the big day. 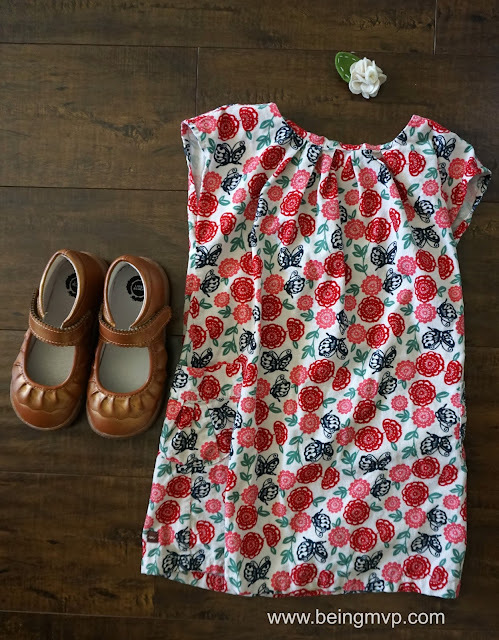 Livie & Luca has just the perfect shoes to complement your child's holiday photos as well as compliment their wardrobe for the new year ahead. The styles are unique and beautiful and the quality top notch. For those who live in a cooler climate, the boot options are awesome. For girls, my pick is the Calliope (available in Gray and Mocha). It is a chic suede flat boot with braided detail. The side zipper allows your gal to easily put in on and take it off. It has one of my favorite Livie & Luca features - the honeycomb sole! So durable and rugged so you don't have to worry about your child slipping on any surface. For boys, my pick is the Toro (available in Vintage Brown and Vintage Navy). 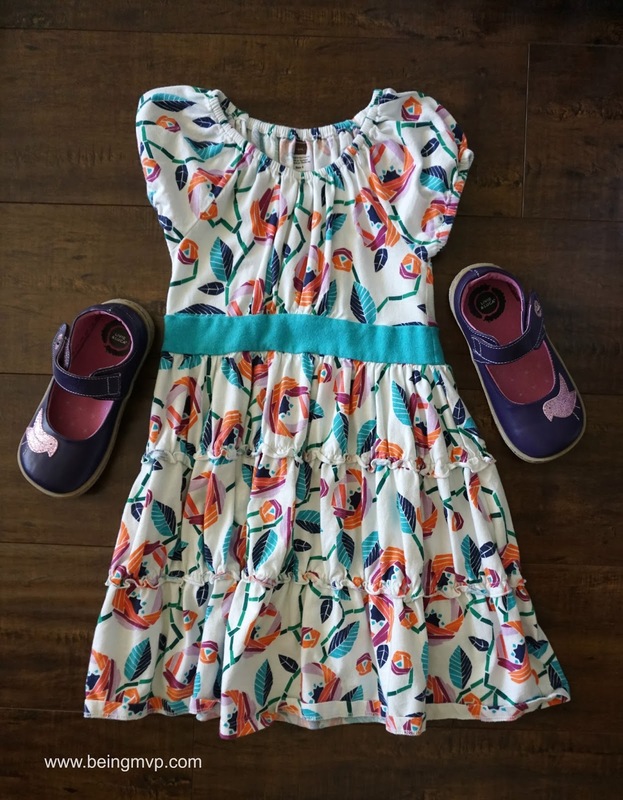 This looks just like daddy's and can be dressed up or down. The leather is smooth and is a nice contrast with the suede. The zipper plus lacing allows for the perfect fit. Mason is definitely going to enjoy wearing these probably in a month or so when it starts getting chilly. The classic Livie & Luca designs are always a great go to such as the Pio Pio, Ruche, Grip and North. The Pio Pio in Grape is not a color I would ordinarily choose but it has grown on me. The glitter bird is super girly and just right for Kenzie's style. The Ruche in Honey Gold is just stunning. It works for church, school, parties and more - a versatile color and style. The Grip in Black is Mason's favorite shoe of the moment. It is comfortable and goes with almost everything he wears. Hubs washed them and put them in the dryer so they did turn a bit gray with cracks. So don't do that! I tell Mason that they are now "vintage". He happily puts them on and goes off to school. The North in Navy is super adorable. The lime green lacing pops against the navy suede and taupe leather. Great for lazy days at the beach, bulldozing cars at the playground and running after Kenzie. 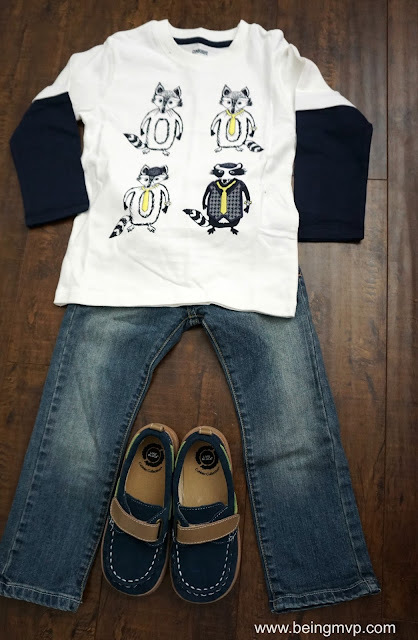 What are your favorite picks for your kids this holiday season? 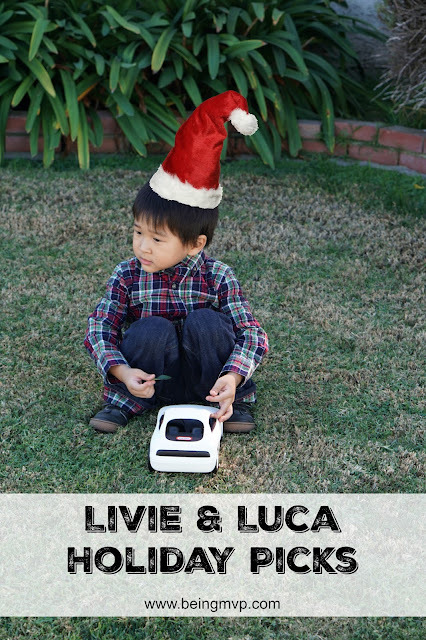 One winner will Receive Choice of Livie & Luca Shoes! The Bailey blush beige would be the perfect shoe with my daughter casual outfits. they would look good with her leggings and a cute top. Love the TORO in Vintage brown!! So super cute!! And would look amazing as with a dress outfit! I like the Silver Metallic Harper for my niece. I really like the gray Calliope boots for my stepdaughter. The Lacey in the White Shimmer would love gorgeous with dd's Christmas outfit! My grandson would look so spiffy in the North Navy shoes. I would love to get the North shoes in Mocha for my son! I like the Zebra blue for my little boy - very cute! 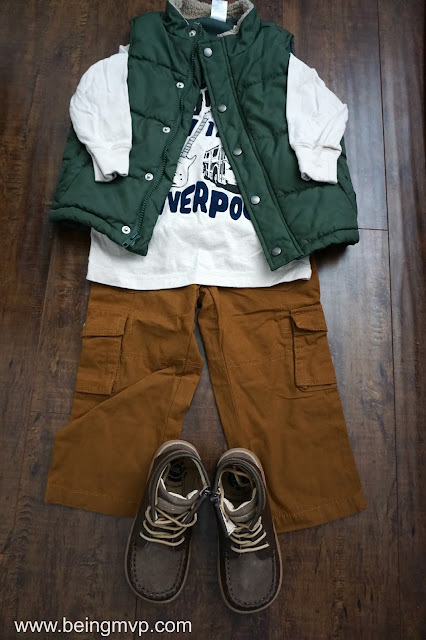 Visited the site and I like TORO Color: VINTAGE BROWN for my son. Silver Metallic Harper are so cute love all their items my niece would love them all. 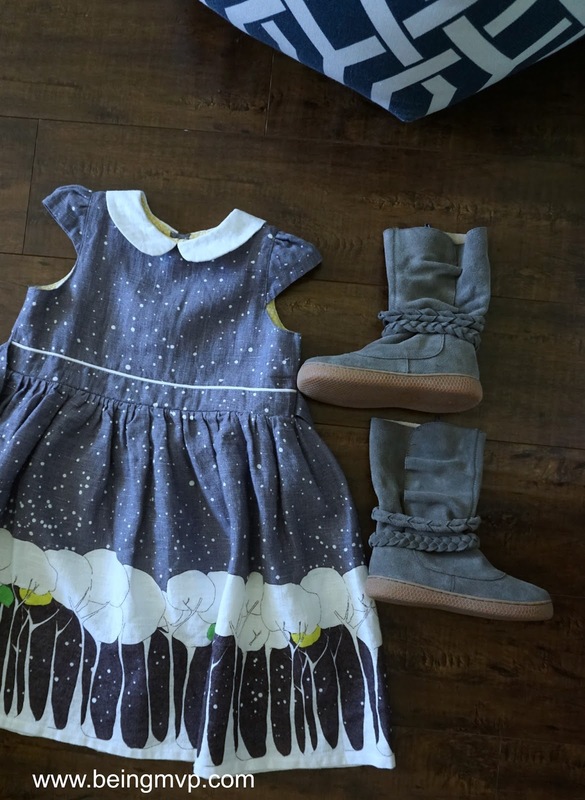 I love the Calliope Boots in grey, they are the perfect accent to so many outfits! They would be for my oldest daughter. I love their new styles and colors for fall! I especially like the Bailey grey Bootie and Toi Toi in red suede. These two pair of shoes would be all she needed to get her through the season- they're just so versatile. I think the Pio Pio shoes in grape would look so cute with my daughter's holiday outfit! I love the TIEMPO in Blue Gold for my youngest daughter! I would love the Blue Bailey boots for my first son! I love the Toro boots in vintage brown. I love the lacey black shimmer for my daughter! I would LOVE the Hopper boots in Fuchsia for my daughter!! My pick would be the Calliope boot in Gray for my 4 year old daughter. It'd be perfect with leggings and Christmas sweaters! I really want the TIEMPO Color: FUCHSIA for my granddaughter. I have been trying to find a cute pair for her all week long. My favorite is the ROVER in the Color: LEAF GREEN. My great nephew Eli would be adorable with these one! I adore the PETAL in BRASS METALLIC because they would go with so many outfits! My youngest daughter would look so cute in them. My grandson would look so handsome in the North shoe, thanks! I would pick the TIEMPO in either colors for my middle child. I would pick the Kip shoes in dark purple for my daughter. For my girl, I'd love the Hopper boots in teal. Adorable!! For my son, I'd choose the Bailey style in Navy blue. I love the PIO PIO in Coral for my niece. I would love to get the moose shoes for my baby boy. I like the PIO PIO for my niece.